It’s a video podcast with Achmed giving his take on the day’s current events, and who wouldn’t want to know what a dead terrorist thinks about today’s hot topics. “Karma Chameleon” is a song by British New Wave band Culture Club, featured on the group’s 1983 album Colour by Numbers. The song spent three weeks at #1 on the US Billboard Hot 100 starting on 4 February 1984, becoming the group’s biggest hit and only US #1 among their many top ten hits. “Karma Chameleon” was also a huge global hit, hitting #1 in sixteen countries worldwide, and the top ten in several more. Guitarist/vocalist George Johnson and bassist/vocalist Louis Johnson formed the band Johnson Three Plus One with older brother Tommy and their cousin Alex Weir while attending school in Los Angeles. When they became professionals, the band backed such touring R&B acts as Bobby Womack and the Supremes. George and Louis Johnson later joined Billy Preston’s band, and wrote “Music in My Life” and “The Kids and Me” for him before leaving his group in 1973. Quincy Jones hired them to play on his LP Mellow Madness, and recorded four of their songs, including “Is It Love That We’re Missing?” and “Just a Taste of Me.” Jones took them on a Japanese tour, then produced their debut LP, Look Out for Number 1, after they signed with A&M, which was also his label at the time (1976). They scored a number-one R&B and number-three pop hit with “I’ll Be Good to You,” and enjoyed R&B chart toppers in 1977 and 1980 respectively with “Strawberry Letter 23” and “Stomp!,” while sustaining a consistent hit presence via such songs as “Get the Funk Out Ma Face” and “Runnin’ for Your Lovin.” Jones remade “I’ll Be Good to You” in 1989 with Ray Charles and Chaka Khan on his Back on the Block release. The Australian group Big Pig made a memorable first impression in 1988 with the belligerent percussion and incendiary vocals of their only U.S. hit, “Breakaway.” Big Pig was noted for their fashion sense as well, wearing leather aprons that gave them a unique look. Formed in Melbourne, Australia, in 1986, Big Pig was comprised of Oleh Witer (vocals, percussion), Sherine Abeyratne (vocals, percussion), Tony Antonaides (vocals, harmonica), Tim Rosewarne (vocals, keyboards), Neil Baker (drums), Adrian Scaglione (drums), and Nick Disbray (vocals, percussion). Witer, Sherine, and Rosewarne were originally in the band Bang; however, Witer wanted an edgier, more experimental sound that also retained Bang’s funky rhythms. In 1986, Big Pig released a self-titled EP; it was later distributed by Australia’s Mushroom label with bonus dance mixes of “Hungry Town” and “Money God.” “Hungry Town” reached number 14 on the Australian charts, and it was also included on the Young Einstein soundtrack. The group started recording their debut LP Bonk in 1987 with producer Nick Launay. The album was released in America by A&M Records in 1988, and the eye-popping video for “Breakaway” was played on MTV. The song also landed at number four in Australia. “Breakaway” then reappeared on the Bill & Ted’s Excellent Adventure soundtrack. Despite the support — and inevitable hype — Big Pig received because of “Breakaway,” they had already vanished from the U.S. airwaves by the time their second album, You Lucky People, was released in 1990. Big Pig toured and then ceased recording. Dexys Midnight Runners are best known in America as one of new wave’s ultimate one-hit wonders, thanks to their 1982 number one smash “Come on Eileen,” a distinctive fusion of ’80s pop, Celtic folk and blue-eyed soul. In the U.K., however, they earned a fair amount of critical acclaim and made a greater impression on the public consciousness with their frequent changes in sound, wardrobe, and personnel. Dexys were formed in 1978 by singer/guitarist/songwriter Kevin Rowland and singer/guitarist Kevin “Al” Archer (who changed his first name to avoid confusion). Both had been members of the Birmingham, England, punk band the Killjoys, and Rowland, who was ethnically Irish, had split his childhood between London, Ireland, and Birmingham, and soaked up the influence of Irish folk and the so-called Northern soul music popular in the Midlands. Seeking a new direction, Rowland and Archer decided to put together a full-fledged soul outfit and named it after the stimulant Dexedrine, a popular drug on the Northern soul scene (despite the strict no-drinking-or-drugs policy Rowland later imposed on the band). The line-up eventually settled on trombonist Big Jim Paterson, tenor saxophonist Geoff Blythe, alto saxophonist Steve “Babyface” Spooner, keyboardist Mick Talbot (who replaced Pete Saunders, was once a member of the Merton Parkas and later joined the Style Council), bassist Pete Williams, and drummer Andy “Stoker” Growcott (who replaced Bobby Junior). Acutely image-conscious, Rowland tried to reflect the band’s working-class roots by dressing them as New York dockworkers, with a wardrobe lifted straight from the Martin Scorsese/Robert DeNiro film Mean Streets. The band struggled financially at first, especially given its large membership, and according to legend, Rowland organized (or at least encouraged) shoplifting expeditions to make ends meet. Dexys didn’t take long to release their first single; “Dance Stance” (aka “Burn It Down”), an attack on anti-Irish discrimination, appeared on EMI in 1979, but only scraped the lower reaches of the charts. However, their next single, “Geno,” a tribute to American-born soul singer Geno Washington (who’d made his career in the U.K.), went all the way to the top of the British charts in early 1980. Dissatisfied with their share of the profits, the band stole the completed master tapes of their debut album, Searching for the Young Soul Rebels, and successfully reworked their deal. When the album was released later in 1980, it caused a sensation. With their bright, tuneful, horn-heavy take on Memphis soul (which predated Paul Weller’s similar transformation of the Jam), Dexys were hailed as British rock’s return to an organic, soulful sound in the post-punk/new wave era. 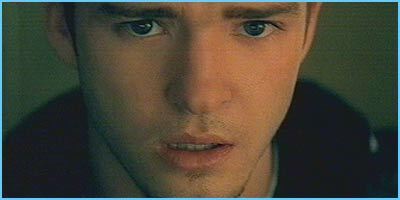 It took 10 years, but Justin Timberlake finally (mostly) confirmed something we all assumed – that his hit “Cry Me a River” is about then-girlfriend Britney Spears. The 2002 song has long been rumored to detail the breakdown of the couple’s romance and the video even featured a girl bearing a striking similarity to Spears. Timberlake has always denied the claims, but in an episode of E!’s True Hollywood Story, his friend Timbaland confirms Britney Spears was the inspiration. The singer, who was apparently cheated on by Spears, poured out his feelings in the song from his debut solo album Justified, and the emotion showed in his lyrics. JT and Brit, who just got engaged to Jessica Biel and Jason Trawick, respectively, in the last few months, split up that year, and are on friendly terms, but not close. The Muppets – Devil Went Down to Jamaica. This fan created video is comprised of audio from the parody song The Devil Went Down To Jamaica by Travis Meyer synced to video of the Muppets performing The Devil Went Down to Georgia from episode 420 of The Muppet Show. Cute and quirky with songs to match, Jim Henson’s Muppets have been responsible for over three decades of children’s entertainment that isn’t just for kids. Alongside Sesame Street, which was aimed at younger children and also created many iconic kids’ TV characters, the Muppets who appeared on The Muppet Show and in the Muppets’ films had a more sophisticated, wittier look and sense of humor. Artist/puppeteer Henson created a rough version of the most famous Muppet, Kermit the Frog, in 1955 for Sam and Friends, a Washington, D.C.-area children’s show for which he was a puppet designer; by the time The Muppet Show began in 1976, the Muppets were a full cast of characters — including Miss Piggy, Fozzie Bear, Gonzo, Rowlf the Dog, and the Muppet band, Dr. Teeth & the Electric Mayhem — and their mix of sophisticated puppetry and music was already in place. Along with Henson, the Muppets’ main original puppeteers and voices included Frank Oz, Richard Hunt, and Dave Goelz. “Mahna Mahna,” originally titled “Mah-Na Mah-Na,” was written by composer Piero Umiliani for an Italian documentary about life in Sweden, titled Svezia, Inferno e Paradiso (Sweden, Heaven and Hell). It is a nonsense song that achieved widespread fame as a classic Muppet sketch. Although it was first performed in a Henson production onSesame Street by Bip Bippadotta and two Anything Muppet girls, the most well-known Muppet rendition of the song debuted on The Ed Sullivan Show in 1969, where it was performed by Mahna Mahna and his back-up singers, the Snowths. This version of the skit was restaged many times on a number of variety shows before being featured as the opening number in the premiere episode of The Muppet Show.